"Mindstar is amazing, you have great products, thank you guys for existing. The support is the best I have ever received in my life, it is outstanding indeed! Many thanks for everything. God Bless and long live USA." The Garmin logo in this software is used with permission from Garmin International , Inc.
Software is copyrighted 2005- by Mindstar Aviation, All Rights Reserved. This Garmin-related software on this site is not endorsed or approved by Garmin International, Inc. or any of its affiliated companies. Any professional use of this software, including use in real-world flight training or in certified flight training devices requires a professional license. 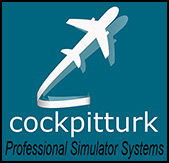 All versions of software sold on this site are purely for entertainment purposes and are not suitable for or intended to be used for real-world flight training or flight planning. Other uses of this software are strictly prohibited.